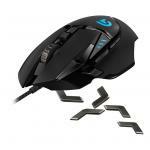 Best Selling Wired Gaming Mouse! 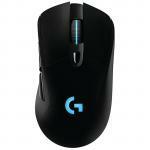 "I brought this mouse a few months back, and it has performed above my expectations. Customisable weights, lighting and control. 10/10"
"This mouse works for me because I like a heavy mouse. It also has an ergonomic design making it comfortable to hold." "The most comfortable and useful mouse I have ever used. Lots of options for buttons and the dpi shift thing is a an awesome addition. Also, the mouse has a bloody fidget spinner on it. 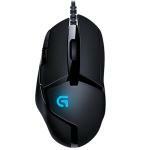 What's not to..."
The Logitech G502 Proteus Spectrum Gaming Mouse with full RGB LED Lighting and tunable weight options included. Maximum tracking accuracy and the most responsive optical sensor make this mouse ideal for fast paced shooters like Destiny 2 and Player Unknown Battlegrounds. Get maximum tracking accuracy from our most responsive optical sensor (PMW3366). 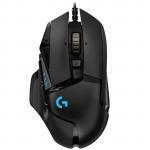 Exclusive Logitech G Delta Zero™ optical sensor technology minimizes mouse acceleration and increases reliable targeting. Switch DPI modes on the fly-choose from five settings from 200 to 12,000 DPI*. Adjustable RGB lighting lets you select from up to 16.8 million colors. 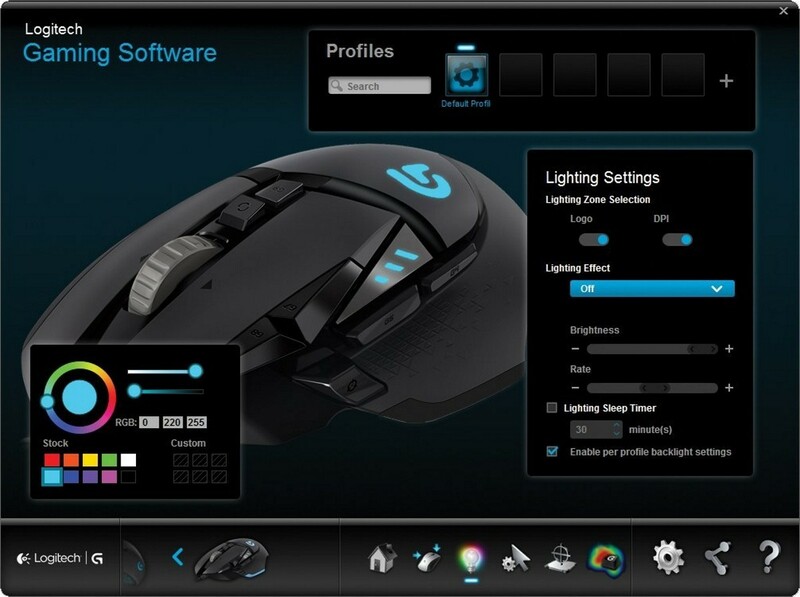 Use Logitech Gaming Software to choose lighting colour and brightness to match your style, system or environment. You can also set your lighting to sleep when you aren't using your system. 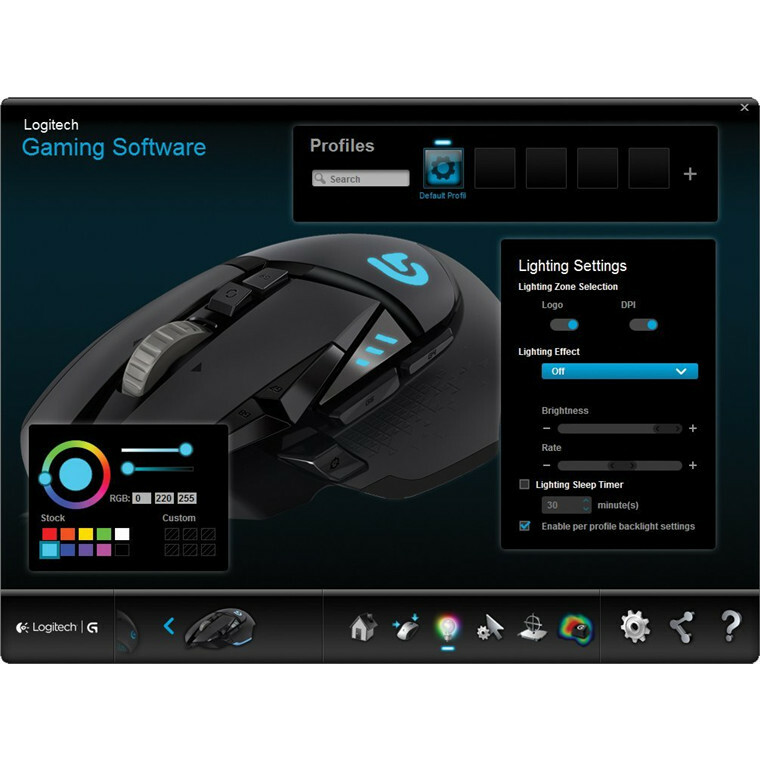 * Logitech Gaming Software ( LGS) is required to change button programming. LGS is not required for onboard memory settings. The mouse is a wonderful mouse to use. 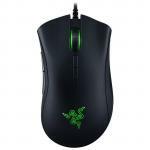 At the moment I am playing Fortnite and it is one of the best mice I have used for this game. The buttons are all easy to reach and even if you have small hands this mouse is still perfect for you. 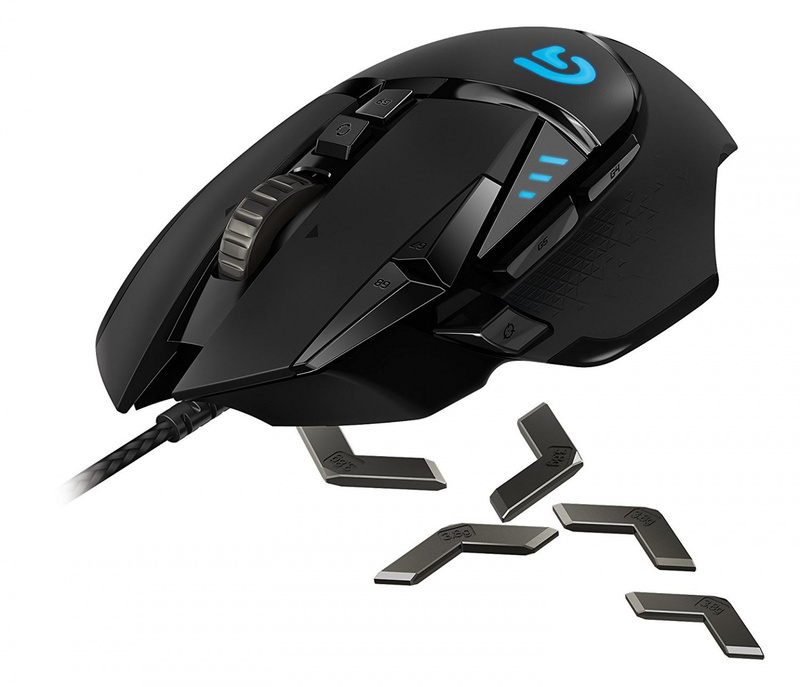 I am not an expert at knowing how gaming mice work but the mouse is amazing.The mouse is a wonderful mouse to use. 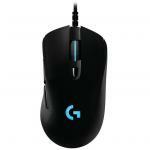 At the moment I am playing Fortnite and it is one of the best mice I have used for this game. The buttons are all easy to reach and even if you have small hands this mouse is still perfect for you. I am not an expert at knowing how gaming mice work but the mouse is amazing. I've had this mouse for roughly a month now. It's a great mouse - feels comfortable even for my long fingers, the grip is nice, and the customizable weighting system was more useful than I thought. The scroll wheel is meh - great in design, but the free scrolling feels clunky and somewhat unsatisfying. The RGB LEDs are pretty neat, and the positioning of the programmable buttons is pretty sweet. View MoreI've had this mouse for roughly a month now. It's a great mouse - feels comfortable even for my long fingers, the grip is nice, and the customizable weighting system was more useful than I thought. The scroll wheel is meh - great in design, but the free scrolling feels clunky and somewhat unsatisfying. The RGB LEDs are pretty neat, and the positioning of the programmable buttons is pretty sweet. On the flip-side, Logitech's software is... bad. I dual boot, so I've been able to use this mouse on both Windows and Mac, and the software has issues on both platforms. On Windows the software has issues with 4k / retina displays making the UI appear extremely small, and I've had to fiddle with compatibility settings to make it usable. On Mac, I experienced a few bugs while trying to assign some of the programmable buttons to keyboard shortcuts. Also, having the software open in the background caused a glitch that disabled my input (both mouse and keyboard) at random intervals. I spent ages not knowing what was causing the glitch until I closed the software... it resulted in several losses while playing Rocket League. Provided that the software was actually usable, this would've been a solid 4 or 5 star rating. It's a very nice mouse, but the amount of time it took me to set it up and program all the buttons was kind of ridiculous. 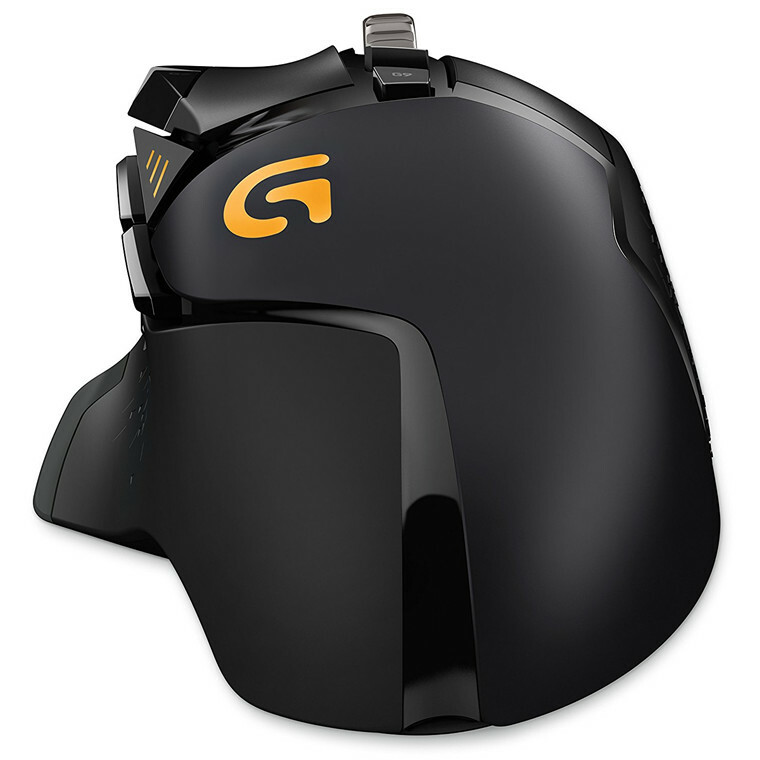 This is my first mouse review, this mouse for true gamers, with good quality, fast tracking, very comfy and customisable, for the smaller handed people it might be harder to use because of its size, the scroll wheel has the feature to change from free scroll to a click scroll, but all in all a amazing mouse!This is my first mouse review, this mouse for true gamers, with good quality, fast tracking, very comfy and customisable, for the smaller handed people it might be harder to use because of its size, the scroll wheel has the feature to change from free scroll to a click scroll, but all in all a amazing mouse! This mouse works for me because I like a heavy mouse. It also has an ergonomic design making it comfortable to hold.This mouse works for me because I like a heavy mouse. It also has an ergonomic design making it comfortable to hold. The most comfortable and useful mouse I have ever used. Lots of options for buttons and the dpi shift thing is a an awesome addition. Also, the mouse has a bloody fidget spinner on it. What's not to love?The most comfortable and useful mouse I have ever used. Lots of options for buttons and the dpi shift thing is a an awesome addition. Also, the mouse has a bloody fidget spinner on it. What's not to love? 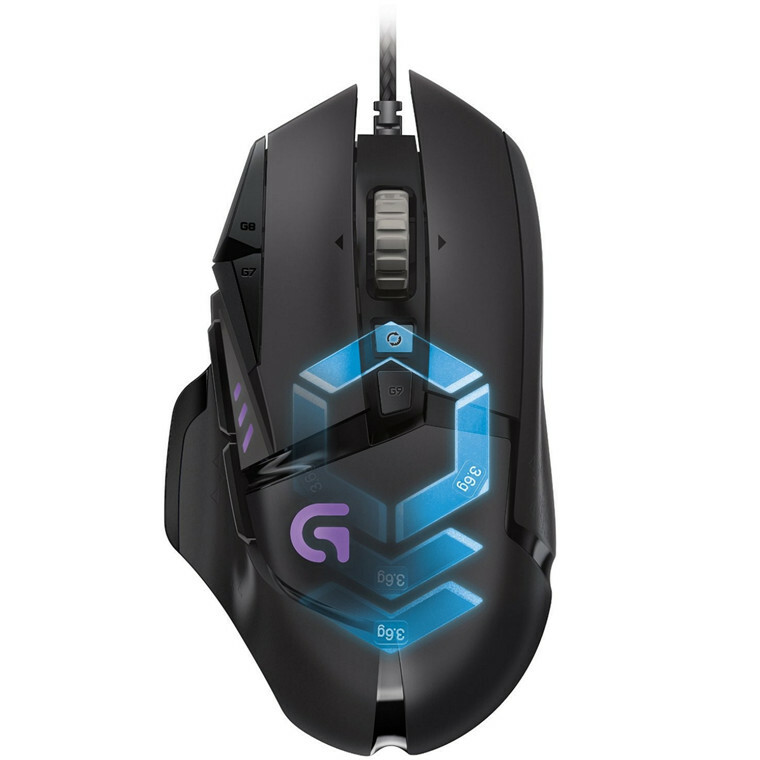 I bought this mouse to replace my old g402 after it started failing. 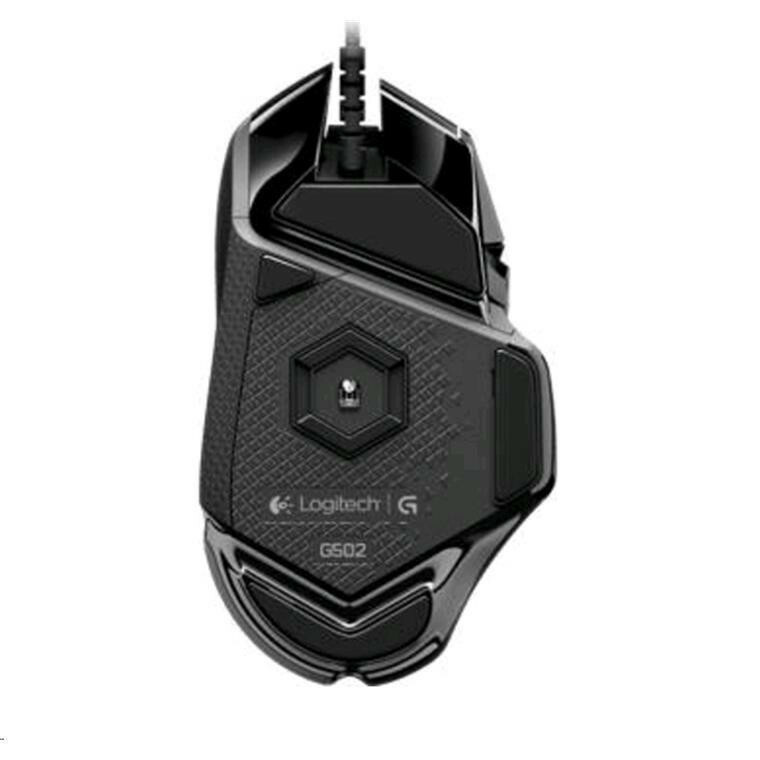 If anything this fits better in my hand, is lightweight and perfect for my fps/ mmo etc.I bought this mouse to replace my old g402 after it started failing. If anything this fits better in my hand, is lightweight and perfect for my fps/ mmo etc. Recommend downloading the free app for customisation. This is a good mouse. It is very comfortable to hold and the software for customization is easy to use. tracking works well and all buttons are easy to press and useful.This is a good mouse. It is very comfortable to hold and the software for customization is easy to use. tracking works well and all buttons are easy to press and useful. PB Tech price: PB Tech price: $94.78 ex. $109.00 inc.